Product prices and availability are accurate as of 2019-04-14 15:48:56 EDT and are subject to change. Any price and availability information displayed on http://www.amazon.com/ at the time of purchase will apply to the purchase of this product. 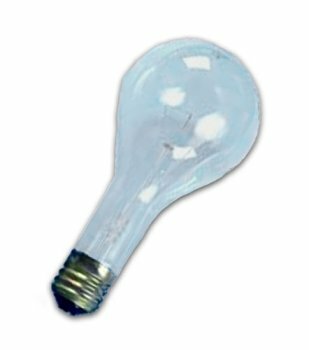 130 volt incandescent products work with standard 110-120 volt household systems. The advantage of 130 volt products is that they protect the incandescent filaments from power spikes (the source of most incandescent bulb failures). 130 volt bulbs are slightly less bright than 120 volt, but offer substantially longer life. 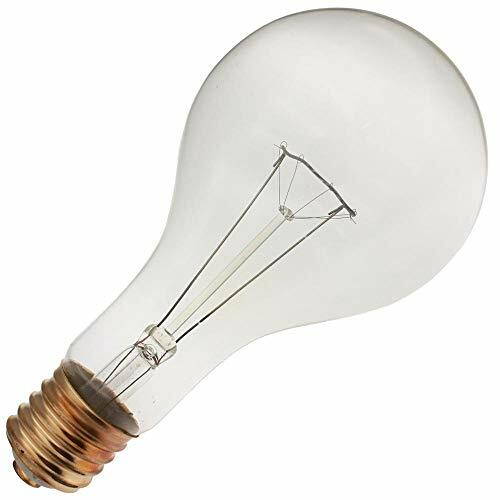 Base: Mogul (1.55" Diameter) 500 Watt, 130 Volt Incandescent Average Life Hours: 5000 Length: 9 1/8" Width: 4 3/8"